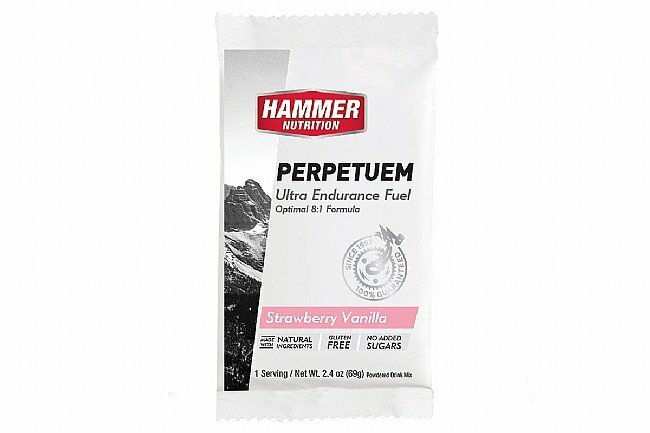 Stay strong and steady from start to finish with Perpetuem, Hammer’s groundbreaking long-duration fuel. 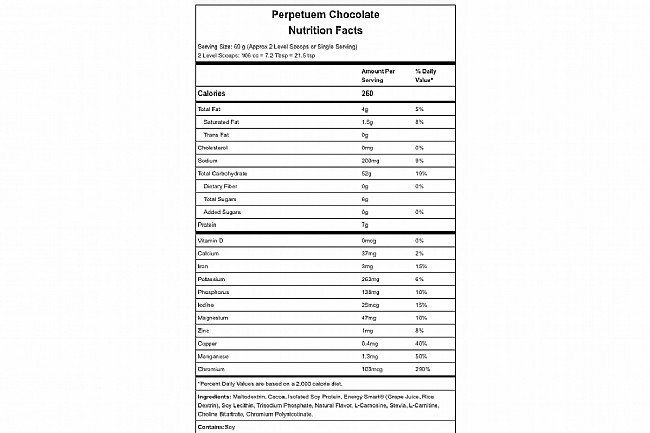 For exercise sessions lasting beyond three hours, carbohydrates alone are insufficient. 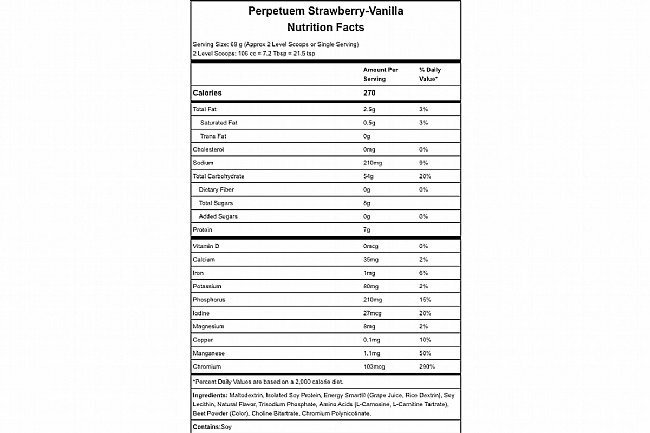 Perpetuem steps it up with the addition of healthy fatty acids and protein. While those fats provide satiety and encourage utilization of the body fat stores, the easily-digested protein curbs lean muscle cannibalization and stabilizes energy levels. The addition of lactic acid buffering amino acids and free radical neutralizing antioxidants further prevent fatigue and support high output over the long haul. 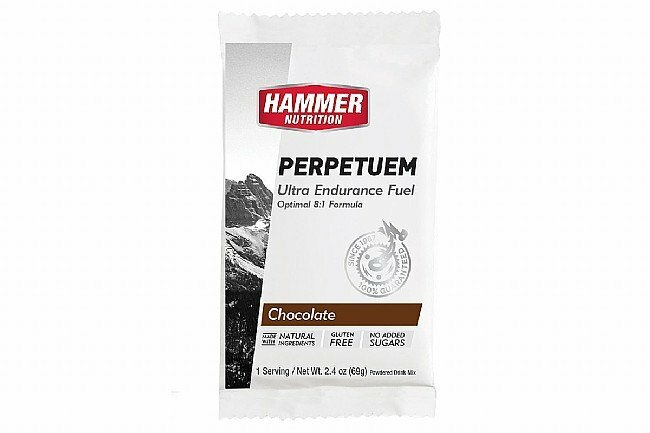 Tested and proven in the world’s toughest events, Perpetuem goes the distance.